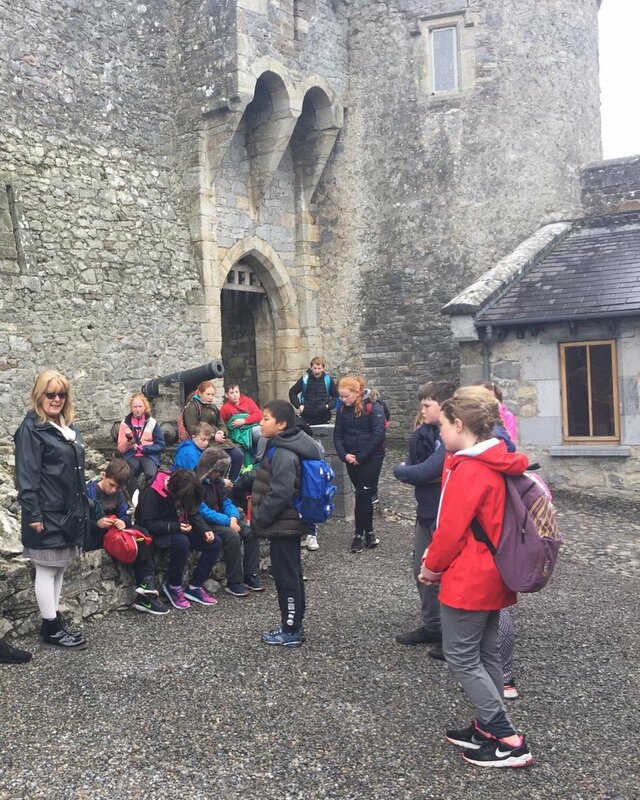 Children from third to sixth class travelled to Cahir Castle and the Swiss Cottage with Ms Whelan and Mr McHale last Thursday. They enjoyed the Medieval Castle with its battlements and dungeons. They saw all the rooms in the Swiss Cottage with the printed wallpaper and different shaped windows. They admired the autumn colours on the walk between Cahir Castle and the Swiss Cottage. They collected leaves and conkers. Fifth and sixth class saw an otter while third and fourth saw a grey squirrel. A number of children have been invited to take part in the Library’s final 1916 commemoration event of the year this Friday December 9th at 11.00 a.m. They have been busy writing “A letter to my Future Self” which will be part of the documents and objects placed in the time capsule which will be then sealed for 50 years. The capsule will be mounted on a wall in the library for all to see in the near future.